This major project would not have been successful if not for Rotary donations! 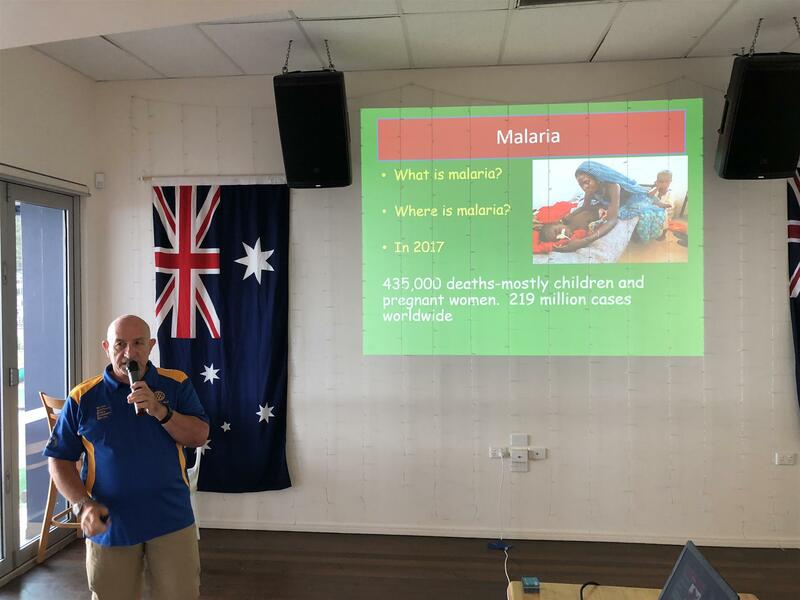 Rotary Clubs of Australia, particulary our District 9640 have contributed $540,000 to this project and 80% of that has come from Clubs in our District including a $1000 donation from our Club.in addition Rotarians, have convinced the Federal Government to contribute $500,00 to this project. This could be a major world wide breakthrough if the research team at our Gold Coast Griffith University, can develop this malaria vaccine, as 435,000 people world wide die from malaria each year and many of those are children under five. Most recently it has also given huge publicity to Rotary in Australia, being on all television staions news bulletins and ABC radio several times. This week our RI Director, Ross Smith gave us all an update as to where they are at with research and funding and it continues to be extremely positive.